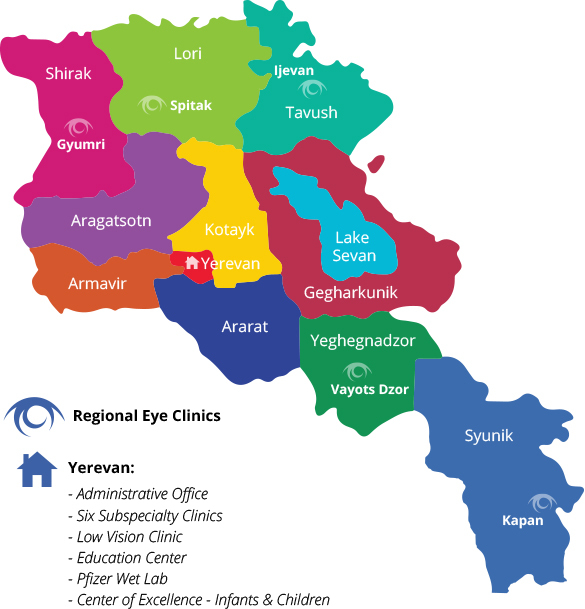 Armenian EyeCare Project » Richard Hill, M.D. Dr. Hill, Associate Professor of Ophthalmology at the University of California Irvine, received his medical degree from Northwestern University in Chicago, Illinois, in 1985. 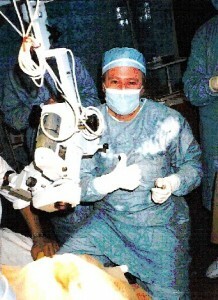 Following completion of his residency in ophthalmology in 1989 at Penn State University, College of Medicine, Dr. Hill did a glaucoma fellowship at the Doheny Eye Institute at the University of Southern California, from 1989 to 1990. While pursuing a variety of activities and balancing his energetic family life and challenging medical career, Dr. Hill, the AECP’s most active volunteer physician, has traveled to Armenia more than 20 times at his own expense. While there, he has conducted thousands of eye exams and performed countless surgeries that have changed the lives of innumerable Armenians, many of them children. Along with the protracted hours he spends performing surgery and examining patients in Armenia, Dr. Hill has developed and written an advanced medical and surgical ophthalmology residency curriculum, adopted by Armenia for its medical training programs. On the last day of his 1998 medical mission in Armenia, Dr. Hill was catching some much-needed sleep before boarding the morning flight back to the States. After a full day of seeing patients, he found himself being gently shaken awake. A family had brought their child, suffering from congenital glaucoma, to the clinic. When they heard about the American doctors and their work in Yerevan, the family traveled all the way from Ukraine. Dr. Hill could not refuse their request for help.